Are you having email problems? Let us help you turn them into productivity gains! 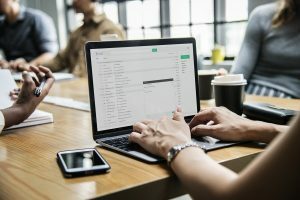 There are so many competitions when communicating with people such as texting, instant messaging and social networking, however, email is still an essential part of business operations. It’s challenging to stay in touch with your customers, although it is a very useful communication tool to have. Intelligent Technical Solutions will provide you with security and a management system that will eliminate email security risks. We allow small and mid-sized businesses to be able to be in control of their email resources with advanced security and an archiving structure in place. Check your email without getting viruses from SPAM, because we safeguard you from spam. ManageMySpam is the name of the system we use to ensure you get no viruses. Your ability to stay in touch while out of the office because we will set you up with secured smartphone access or remote computer access to your messages. We also reduce storage demands placed on your servers from unmanaged email, you’ll increase operational efficiency. We make sure that you keep your privacy when handling sensitive data. Let Intelligent Technical Solutions show you how email can be used in a more valuable and functional communication tool that also protects and preserves important information.